After hearing, "When are we leaving on our cruise?" "Will I be six yet?" and "How many days left?" a million times, I made a cute Mickey Mouse chain-link countdown banner. Every day, the kids rip off one link, and we get closer to our departure date. 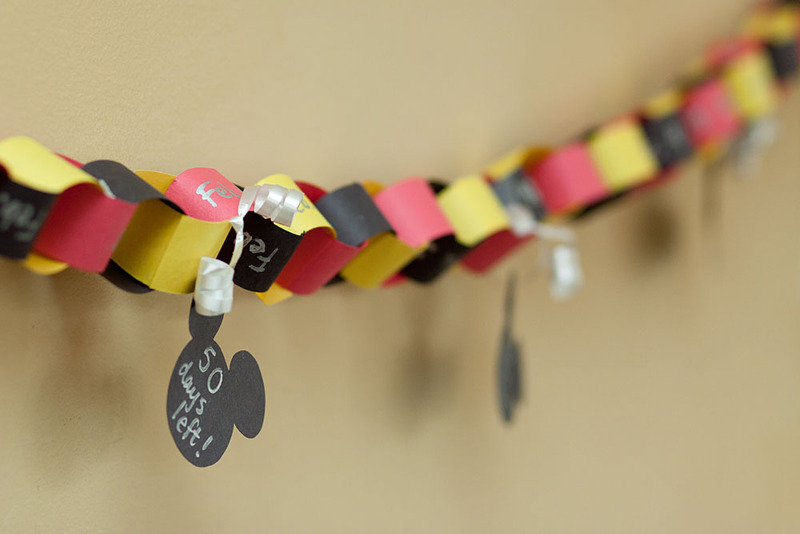 I put milestone tags every 10 days, because otherwise there'd be way too many links for the kids to really grasp.